Drywall partition is the most common wall technique found in the modern homes today. Houses nowadays have become smaller, but more utility spaces are also being constructed with drywall partition. Dividing parts of your house have been made possible with a partition wall – whether you want to add an extra room and an attached bathroom or divide the living room into two. 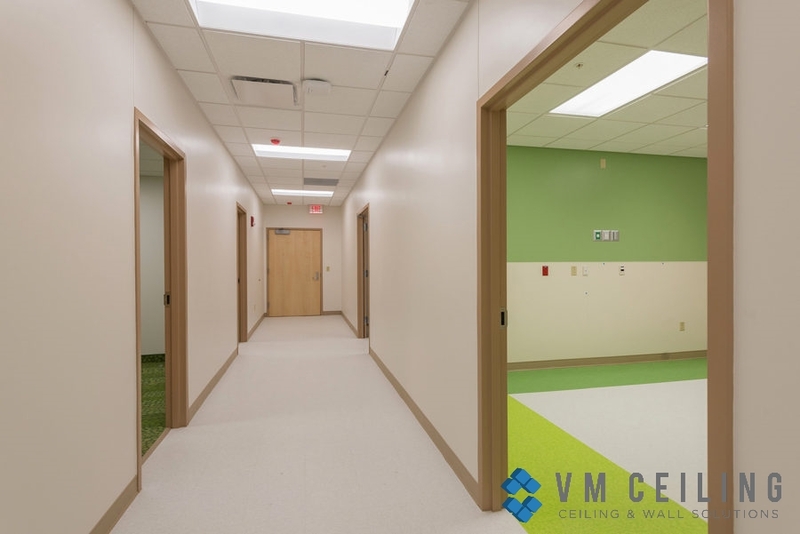 Drywall partition is a type of lightweight interior and is mostly constructed in hotels, hospitals, offices, and houses. They are made up of strong, long-lasting, sturdy, and robust walls, which require no maintenance. 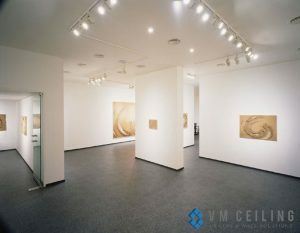 Drywall partition is a great option if you want to explore different partition designs for your interiors. You can paint and decorate them like any other concrete walls. Drywall partitions consume less water than other types of wall partitions. In comparison to the conventional masonry walls, drywalls are built three to four times faster. As the name suggests, its construction doesn’t require much water and hence, not considered a laborious task. With this, drywall partitions are considered a water-free project as it consumes 95% less water than other types of wall partitions. As mentioned earlier, drywalls consume less water, which makes it easier and faster to construct. It does not require any stipulated service management. Compared to other concrete wall partitions, drywall is definitely much lighter. With this reduction in load structure, the cost of overall construction is also reduced. Drywall is extremely flexible as a partition, which allows homeowners to customize their walls based on personal preference. With its versatile nature and flexibility, you can easily maximize any area and do construction with thorough planning. Drywall Is a great choice if you need a soundproof partition as it reduces the noise coming from other rooms. This is especially necessary when you have a children’s room, which tends to generate a lot of noise. With drywall partitions, you’ll be ensured to have a more peaceful place to live in. As houses are more prone to fire, it is important that the materials of the house are fire resistant. Aside from the other advantages of drywall, it is worth noting that it is also made out of a fire-resistant material. During fire emergencies, drywalls usually takes an hour before the material catches fire. This then gives occupants enough time to evacuate. As a country with a warm climate, almost every house in Singapore requires air conditioning. Drywalls are then more suitable as partitions for such houses as they are great thermal insulators, which improves the efficiency of air conditioning as it keeps the area cool. This results in more savings as you don’t have to run your air conditioner for a long period. The thermal insulating properties of drywall are also five times better than concrete walls. Despite its different materials, drywall partition still resembles the look of a concrete partition due to its seamless construction. The edges are smooth and it stands sturdy as the rest of the structure. There will be no cracks on the wall, which makes it easier to paint on. Any type of paint usually blends well on the drywall partition as the surface is smooth, making it suitable for any type of decoration. You can also install wallpapers on the drywall as it tends to provide great finishing compared to other plasterboards that have a paper lining on the surface. Drywall partitions are made up of gypsum boards that are 100% eco-friendly. It can be recycled completely and does not use much water for installation, which makes its construction more environmentally-friendly. 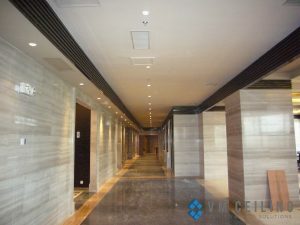 Previous Post Which One is the Best – Drywall Ceiling or Suspended Ceiling?